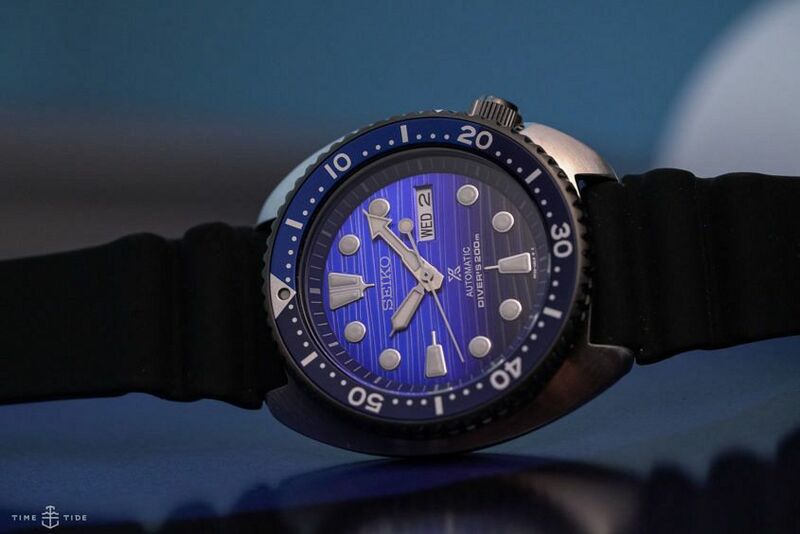 Seiko have taken their affinity with the ocean to deeper depths, announcing new brand ambassador Fabien Cousteau at Baselworld 2018. The grandson of famed underwater explorer Jacques-Yves Cousteau, Fabien has dedicated his life to exploring and conserving the world’s oceans, and is founder of the Fabien Cousteau Ocean Learning Centre. 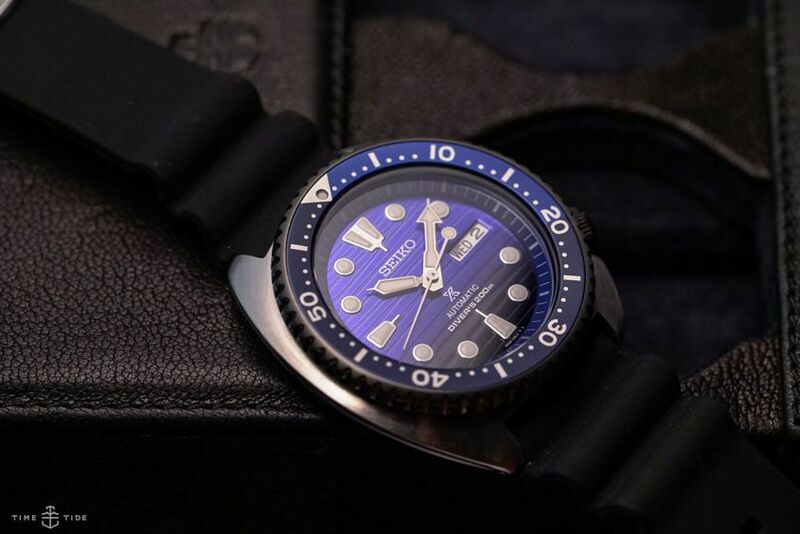 As part of this new partnership, Seiko have introduced a series of Prospex ‘Save the Ocean’ special editions, with a portion of all proceeds donated to the Ocean Learning Centre. First up is my personal favourite, the Turtle. Essentially, it’s the same Turtle that we all know and love. 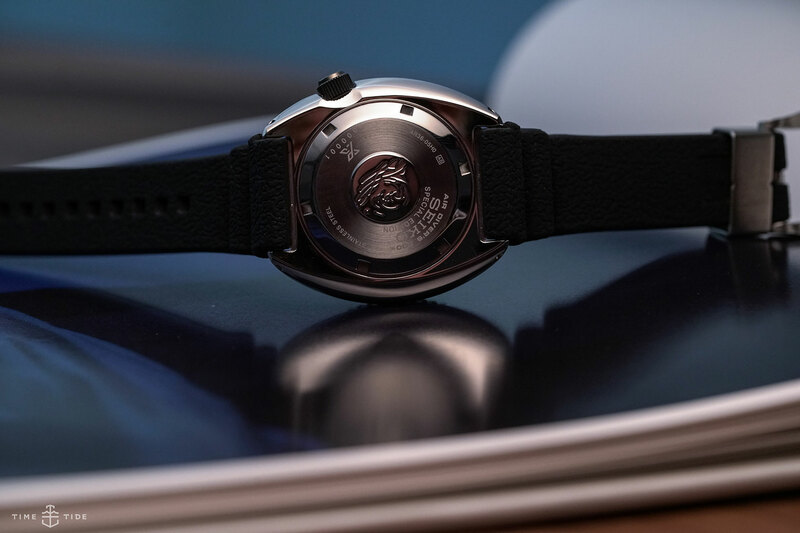 A cushion-shaped 45mm wide and 13.42mm thick stainless-steel case that’s water resistant to 200m with the ever-reliable Seiko 4R36 movement inside – with manual winding, stop second function, and a 41-hour power reserve. 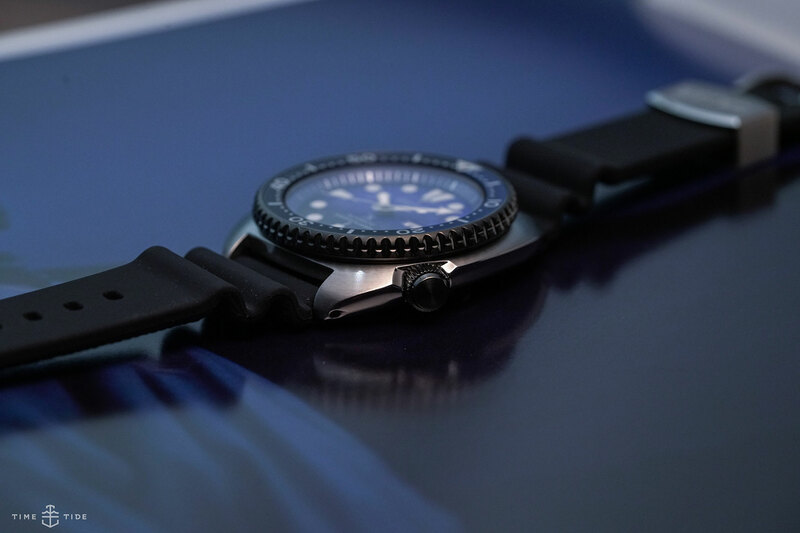 What has changed, though, is a new bi-colour bezel in two shades of blue, and a wave-like dial that’s inspired by the blue whale and graduates from a vibrant shimmering blue at the top to an abyss-like pitch-black at the bottom. There’s also the addition of a black-coated crown. I’m a fan of the iconic Turtle style case – so much so that I own one – and this new version wears just the same. Yes, to some it may be on the larger side, but that’s mainly on paper. In the real world, the curves and lines help it adapt to the wrist and ultimately wear a lot smaller than you’d first expect. It’s not going to completely disappear, but really, with a dial as cool as this one, would you really want it to? 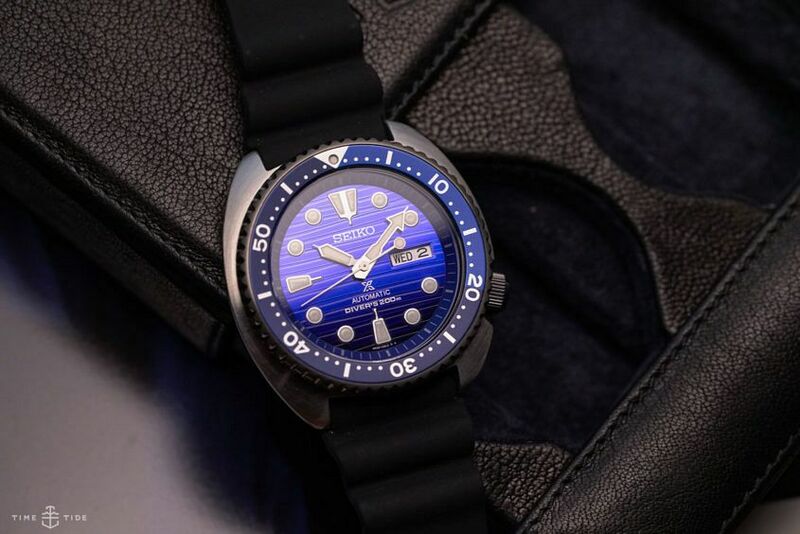 Since its reissue a couple of years ago, the Seiko Turtle collection has become a crowd favourite. Especially for anyone who likes a great-value mechanical dive watch. And if you also want to help save the ocean, then this one is for you. That black crown. You’d almost miss it at first, but it’s a little extra touch that shows Seiko’s attention to detail.